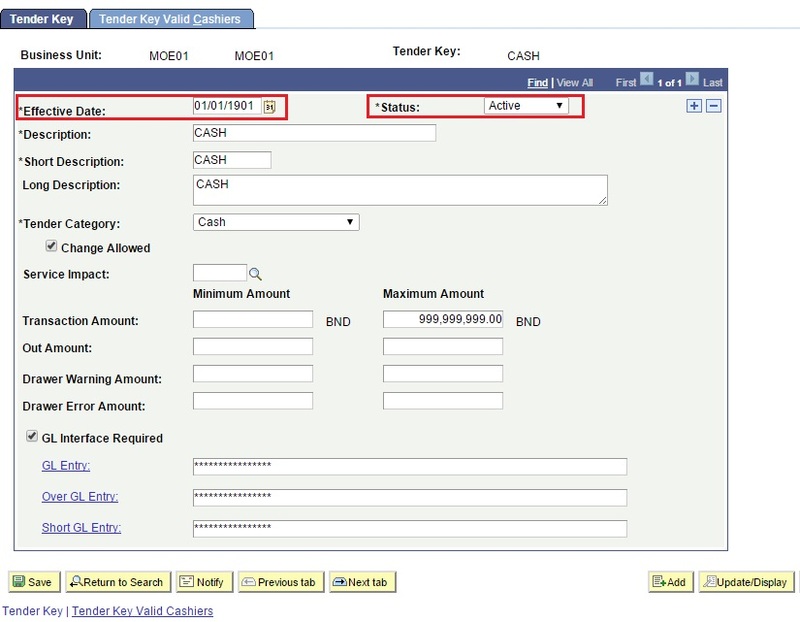 This function allows the users to define the payment modes. 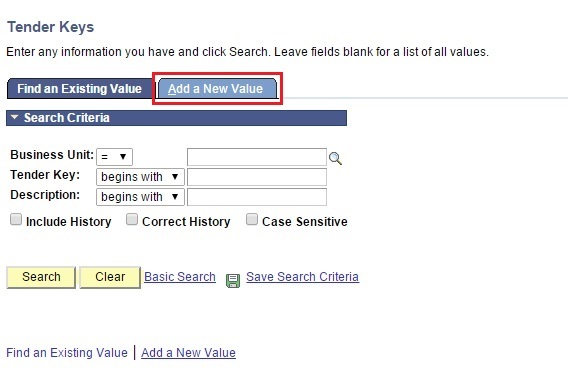 Navigate to Setup SACR > Product Related > Student Financials > Cashiering > Tender Keys. 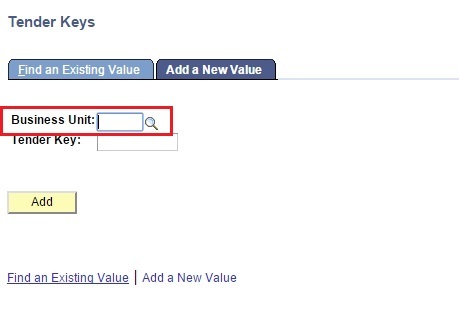 Click on the magnifying glass symbol next to the Business Unit field to initiate a prompt. Select MOE01 from the prompt box to enter it into the Business Unit field. 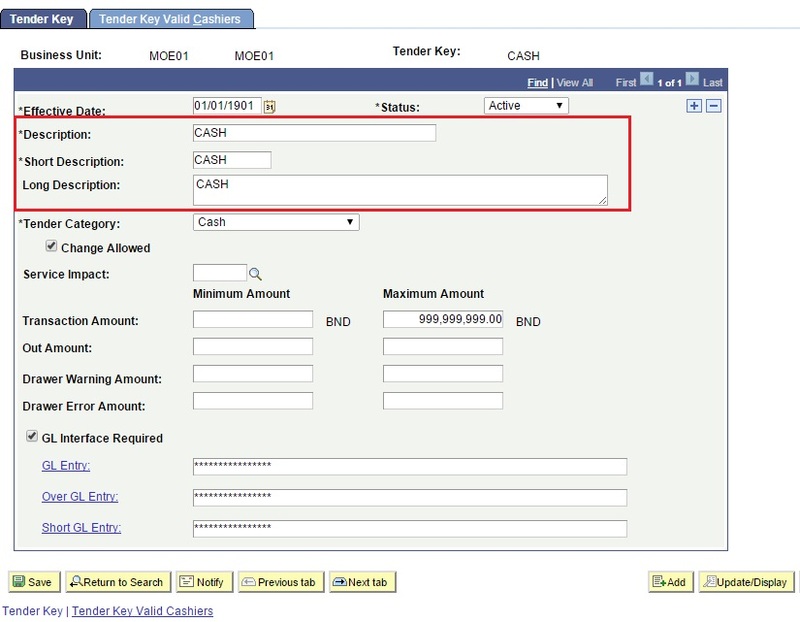 Define or key in the Tender key either CASH or CHEQUE. The Effective date is the start date for the payment and user should set the status into Active. The description will be according to the type of payment that the student use either by Cash or Cheque. 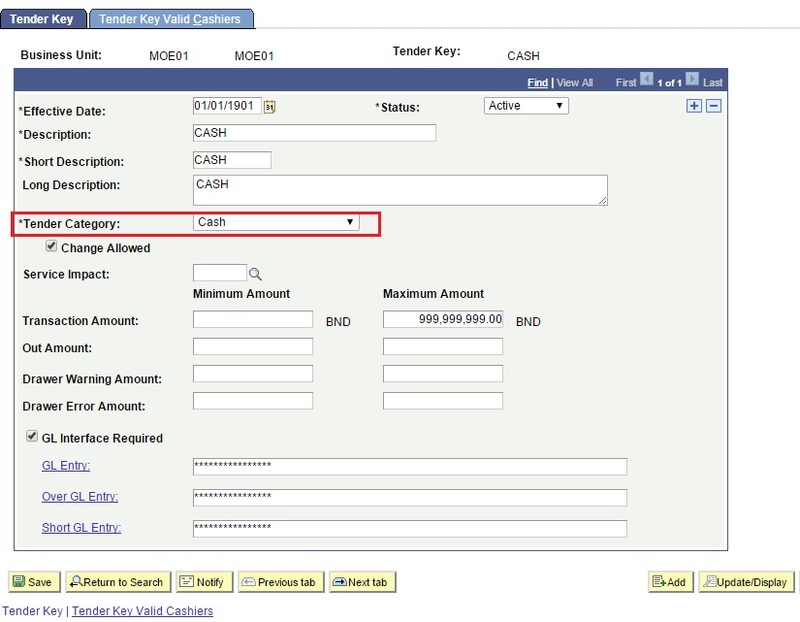 For the Tender category field, select either Cash or Cheque in the drop down button list.